It’s been a busy busy summer so far around here and we’re really enjoying it. This is the first real oppressive heat week we’ve had in MD so far which is a miracle. Last year I was ready for summer to be over by the 21st of June hehe. Gorgeous days with little humidity have led to not much action here on the blog, but I’ve been sewing my heart out during each napping minute. There’s lots to catch up on, but for now I’ll post about my favorite outfit. 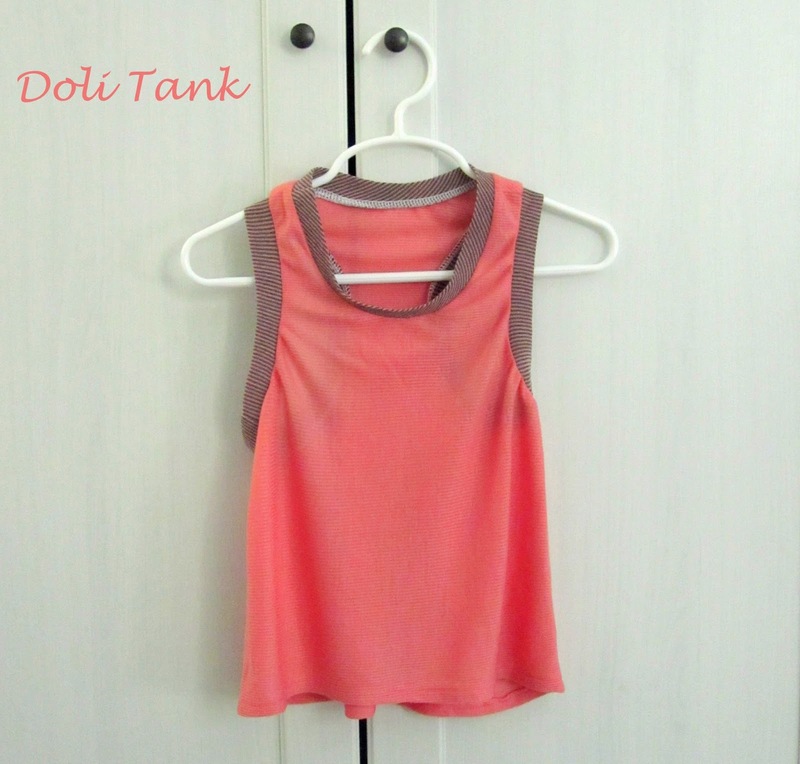 I made another Doli Tank using some light-weight rib knit from JoAnn Fabrics. It’s the same type of gauzy fabric I used for the other Doli I made, but this time I decided to use it for the body instead of at the neck and arms. It’s so drapey that I knew it would work well. I had the ribbing vertical instead of horizontal so the extra stretch would pull down instead of side to side. Also, I thought it looked cool, hehe. The edge fabric is the same slightly stretchy woven fabric I used for the Retro Romper. I found it in the clearance bin at JoAnn’s and I have no idea what type of fabric it is. 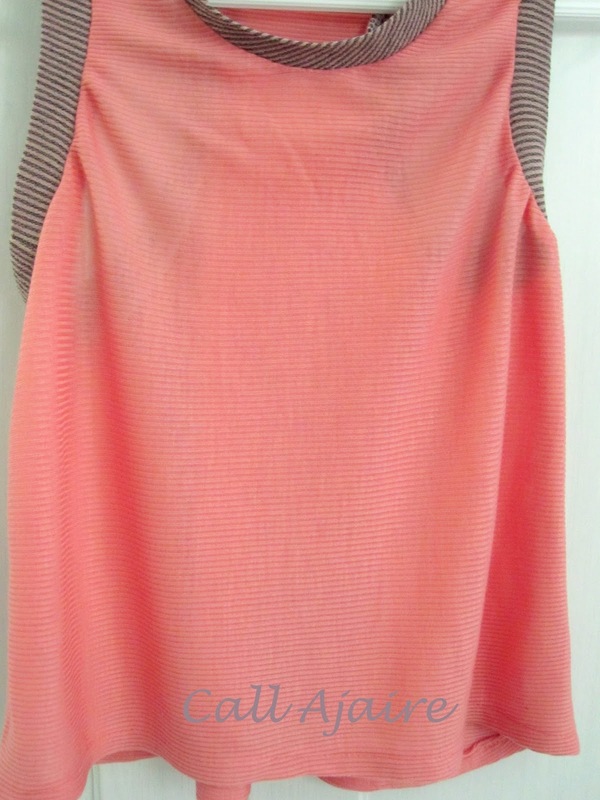 I saw the little greyish-purplish stripes and knew I’d love it paired with a coral to bring out the pale peachy stripe color. The Retro Romper only reinforced my love affair with this fabric. I decided to make a pair of Bubble Pocket Shorts (*affiliate link) using the coral ribbed knit as a contrast. 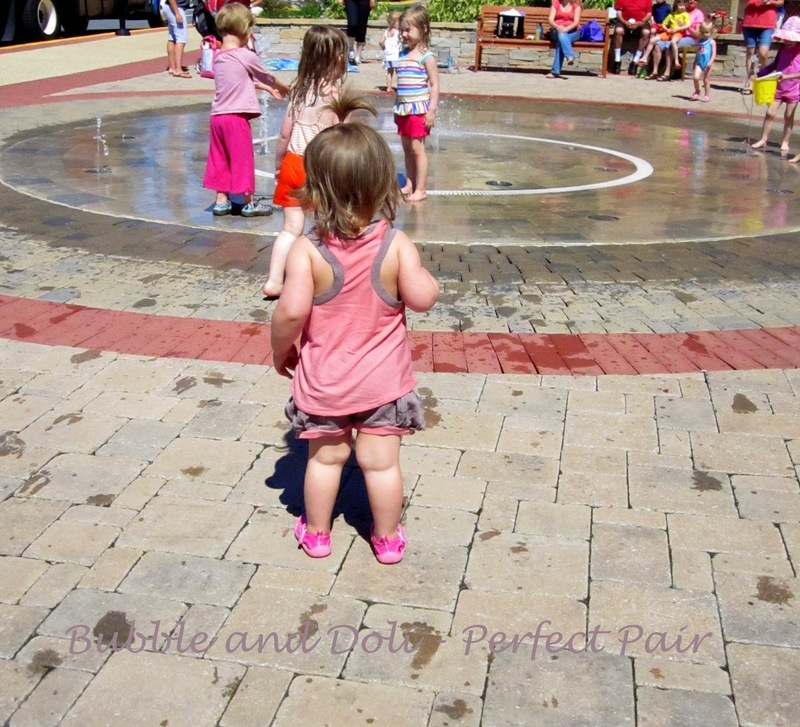 These were the first Bubble Pocket Shorts I made and while constructing them I realized the pattern would work well for the Ruffled Front Shorts I made earlier this month. So yes, all of this was made (and pictures taken) well before my last blog post, hehe. I cannot get over how much I love this outfit. Bean has worn the pieces together and separate many times already. But my favorite is when they are worn together. 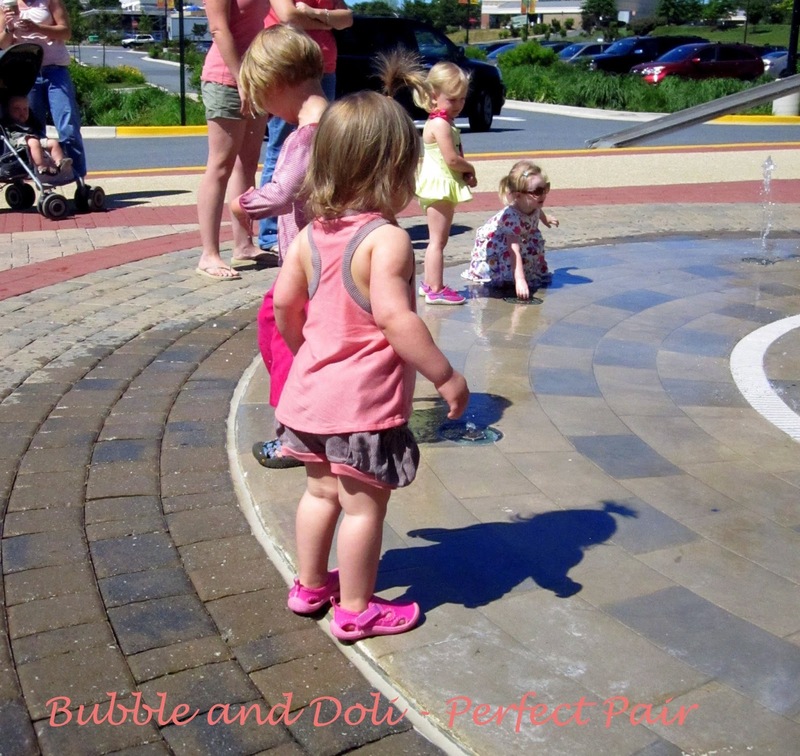 The Doli’s subtle high low hem is a perfect pairing to show off the Bubble Pocket’s bubble pockets. I hope you are all enjoying your summer as much as we are. There are lots of fun series out there – Flip This Pattern, 30 Days of Sundresses, Once Upon a Thread, and a KCW coming up soon too – just to name a few. I’ll also post these shorts to the Shorts on the Line Flickr group. Don’t forget that Google Reader is going away next week, so I’d love it if you’d follow me via bloglovin. Love it! These pieces look like they would get a ton of wear, always awesome. I love that color combinatioN!! SO cute! A lovely pair, indeed! Seriously cute. I love how these to work together. 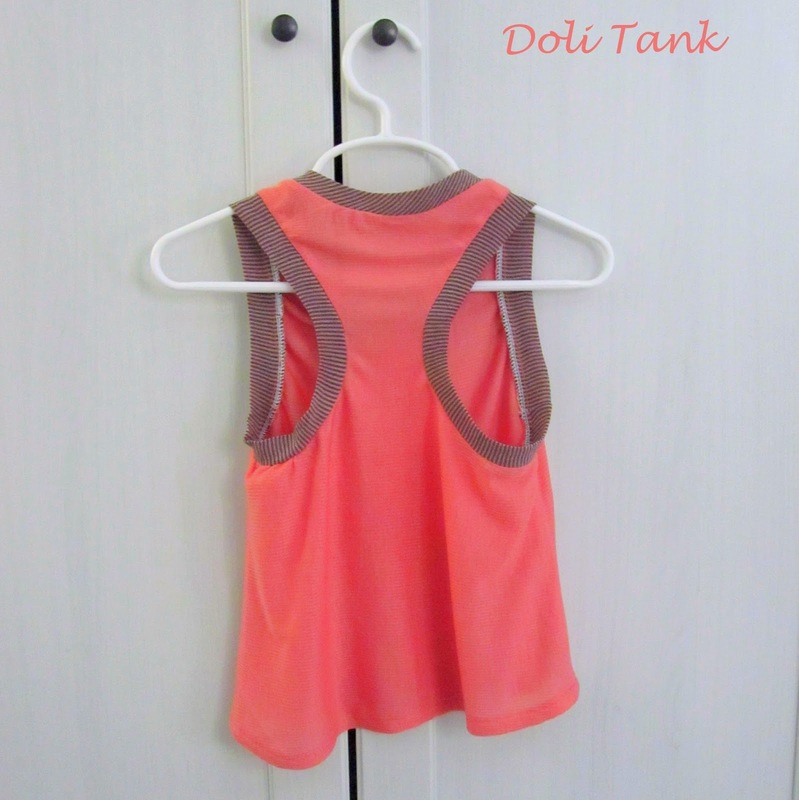 Everytime you sew that Doli tank up I think that is a pattern that I should own. Thanks for linking up! It was fun to have a close blogging friend in the mix of the link ups. Very cute! I love that doli pattern, but I must say that I grumbled about your knit options at your JoAnn vs. what I see at mine…. 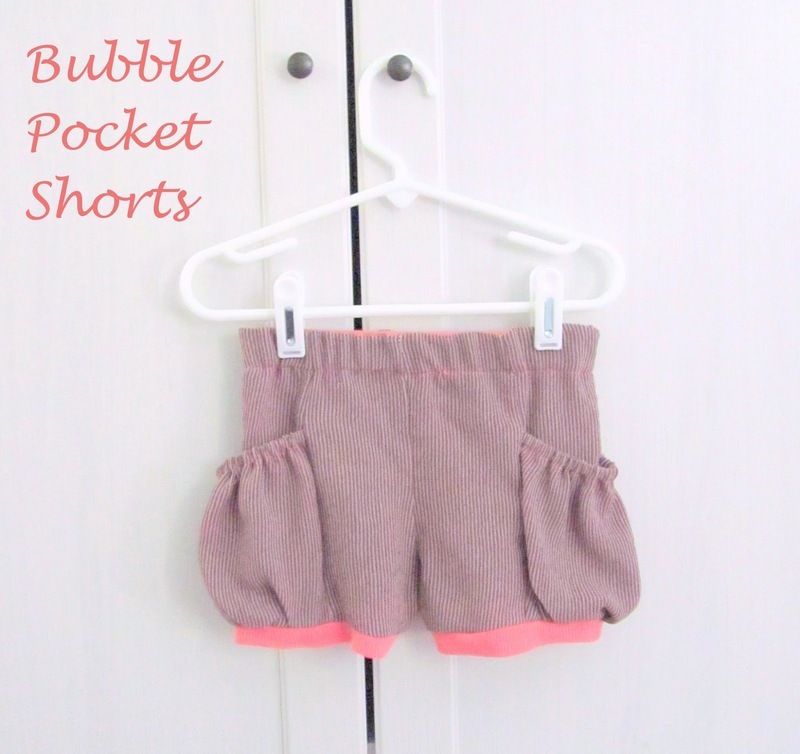 😉 I have yet to try the bubble shorts pattern, but this combo is super cute. Cute outfit! Those shorts are adorable! Thanks for sharing @ Submarine Sunday!